It seems like an odd thing to say about a franchise that came of age with Gordie Howe, Ted Lindsay, and Alex Delvecchio, and later went on to 23 straight playoff appearances and four Stanley Cups, but my favorite Red Wings team of all time was the 1988-89 edition. That was the year a 23-year-old Steve Yzerman made the leap from very good player to unquestioned superstar, posting a remarkable 65 goals and 155 points, both Red Wing records. This was in the middle of the Gretzky-Lemieux era, so Yzerman didn’t even make a postseason all-star team, but his fellow players named him best player in the league. Gerard Gallant scored 93 points, his best total from a nine-year run in Detroit that ended when he was 29 (even though I could swear he’s in his late thirties in every single memory I have of him in a Wings uniform). Two future NHL coaches, Adam Oates and Paul MacLean, both topped 70 points. The goalies were Greg Stefan and Glen Hanlon, whom I could never tell apart. That was the thing about the Norris-era Red Wings: When Yzerman and friends weren’t lighting up the score sheet, the rest of the team was filling up the penalty box. That wasn’t a coincidence, since the late ’80s were still part of hockey’s era of mutually assured destruction, when enforcers really did ride shotgun for superstars instead of just vaguely threatening to from the bench. And Yzerman had the meanest bodyguard of them all: Bob Probert. In hindsight, Probert was one of the NHL’s tragic figures, whose well-documented personal and legal problems nearly derailed his career. (He played only 25 games in that 1988-89 season and was suspended for most of the 1989-90 campaign.) But at the time, Probert was a rare spectacle: the undisputed heavyweight champion of the league, but one good enough to play a regular shift and score 20 goals a year. Probert was the era’s most terrifying fighter, for two reasons. First, because he was so good at it. This was before it seemed like every NHL enforcer was taking offseason boxing lessons and working with MMA trainers; back then, most guys just slugged it out and tried to stay upright. But Probert was a tactician. He was never off balance. He could switch hands. He’d shrug off your best punch. And we could all recite the scouting report: Probert always got stronger as the fight went on. Every fan was familiar with the sick feeling that came with watching your team’s tough guy hold his own against Probert for a while, knowing the onslaught was coming. The second, and arguably more important, reason Probert was terrifying was that you never knew what he’d do. Hockey’s fighters claim to live by a code, and a code implies some sort of order, but true intimidation isn’t really possible when you’re always following the rules. Probert wasn’t crazy in the wild-eyed way some guys were (and still are). He never even seemed to get angry out there. And somehow, that made him even scarier, because you never knew what he was about to do. In one 1987 brawl, Sabres tough guy Kevin Maguire wound up paired off with a mismatched Yzerman, and ended up pummeling the Wings captain while Probert was restrained by a linesman. By the time Probert freed himself and arrived on the scene, it was too late, because Maguire was already safely at the bottom of a pile of players and linesmen. So Probert hung back, and he waited. He popped Tom Barrasso in the head for coming too close and stared down a few other Sabres, but let them all go, because he knew what he was there to do. And then finally, after a good minute of waiting patiently, he got an opening. He skated in, KO’d Maguire with one punch, and calmly skated away. This sort of thing would seem crazy today. 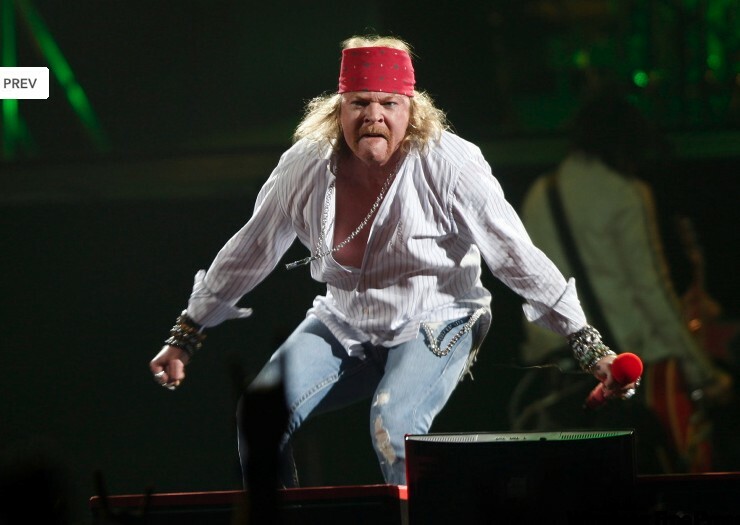 It seemed crazy back then, too, but in an “Axl Rose just dove off the stage onto a fan” sort of way. It was the Norris Division. Things like this just happened. And I probably don’t need to tell you it was a long time before anyone ever roughed up Steve Yzerman again. Probert’s longtime tag-team partner was Joey Kocur, a rugged winger who hailed from the same tiny Saskatchewan town that produced Wendel Clark and Kelly Chase. If Probert was the patient tactician, Kocur was the buzz saw, throwing wild haymakers and hoping he’d finish you before you finished him. He usually did. Detroit fans came to love Probert and Kocur. Hockey enforcers are often among the most popular players on the team even today, but Detroit took it to the next level. The pair was dubbed “The Bruise Brothers” and spawned T-shirts and posters and even a book. I’m not sure any Red Wings fan ever read that book, but I’d bet a whole lot of them owned it. Let’s be clear: A team like the Norris-era Red Wings could never exist in today’s NHL. They’d be suspended into oblivion by the league, torn apart by the media, and probably even rejected by the fans. The game has evolved well past this sort of stuff, and it’s hard not to see that as a good thing. We know too much about the impact of fighting and concussions and cheap shots to make T-shirts celebrating them anymore. But we didn’t know any of that back in the Norris era. So we just sat back and enjoyed the show. The Norris Division–Guns N’ Roses comparison works in one other important respect: You always knew it couldn’t last. In 1993, Gary Bettman arrived and changed the division names to something more marketing-friendly, with the Norris becoming the Central Division. Minnesota was replaced by Dallas that year, and the Stars and Maple Leafs both left the division entirely in 1998. Maybe you could argue that the old Norris spirit remained even after that. But just like all fans would agree that there’s no “real” Guns N’ Roses lineup that doesn’t include Slash and Axl, the Norris can’t be the Norris without the Wings and Hawks. When Detroit switched conferences this year, that was it. Whatever smoking embers were left of the Norris were extinguished for good. And that’s fine. It’s better that way. After all, none of us want to see our favorite memories reduced to something like this. The Norris Division had to die. There’s no place for it in the modern NHL, nor should there be. But holy crap, was it ever fun while it lasted.